It’s been said that the history of New York City is written in its streets. A new Museyon Guide, Chronicles of Old New York: Exploring Manhattan’s Landmark Neighborhoods by third generation New Yorker James Roman (who can be found on re-runs of HBO’s Six Feet Under), provides an opportunity to really discover the 400 years of the city’s history. Illuminating those streets through the true stories of the visionaries, risk-takers, dreamers, and schemers who built Manhattan is the strength of this unusual guide. 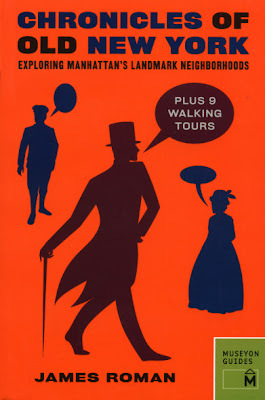 With eight historical walking tours, illustrated with Chronicles of Old New York is enjoyable for history buffs, city residents, occasional visitors, or tourists. 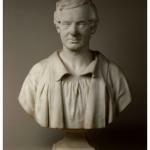 The guide includes detailed maps and full-color photographs, 25 meticulously researched articles on dramatic stories from New York history including episodes from the lives of John Jacob Astor, Cornelius Vanderbilt, Stanford White, Gertrude Whitney, Donald Trump, and more. Sidebars on taverns, townhouses, architecture, and neighborhoods, a detailed timeline of historical events, and walking tours of nine historic New York neighborhoods tat include include detailed maps and subway directions make this guide handy. Chronicles of Old New York includes nearly 60 historical maps, over 100 photographs and illustrations from the collections of the New York Public Library, the New-York Historic Society, New York University Archive, the Smithsonian Institute Portrait Collection, the Lower East Side Tenement Museum, and the Museum of the City of New York.